Meaghan Townsend is a rising sophomore at Harvard University, where she is concentrating in English with a secondary in Educational Studies. Interning for Improve, LLC, she is deeply interested in a career in educational management. 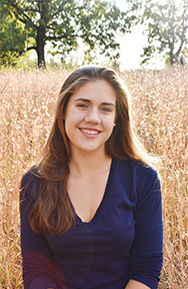 Meaghan has extensive experience in peer-to-peer education through tutoring and mentorship programs. She currently works as a Resource Efficiency Program Representative for Harvard’s Office for Sustainability, where she runs educational campaigns for students and collaborates with administrators to make sustainable changes in university facilities and operations.